Spinal stenosis has several causes. The aging process is the most common reason. When people get old, their spine start to naturally deteriorate. Other causes of spinal stenosis include bulging discs, spondylolisthesis, herniated discs or bone spurs. Anything that contributes to the narrowing of the space between the aggravated area of the spine and the spinal canal can be the cause. The best treatment for spinal stenosis is proved to be surgery, but your physician must first determine the cause and the severity before scheduling your procedure. How Long Does It Take to Recover from Spinal Stenosis Surgery? There are several different surgical procedures used to treat this condition. 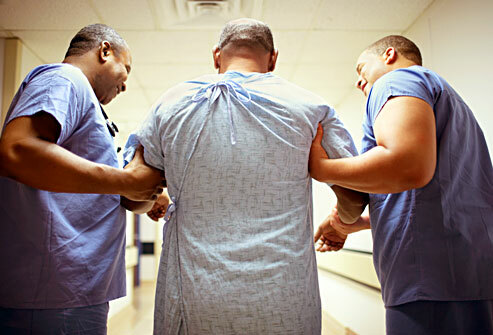 The type of surgery you received will determine how long it will take for your recovery. 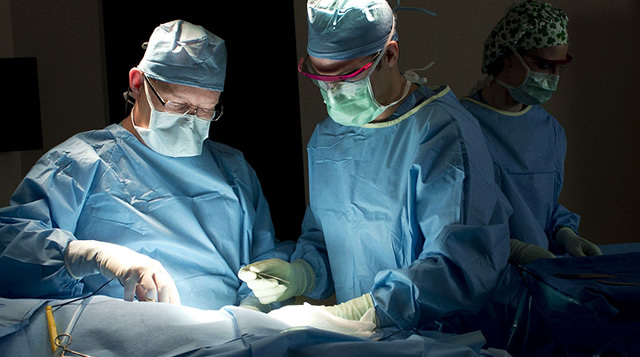 Discectomy: This procedure removes a part or all of your disc. You will recover very fast after this surgery. Laminectomy: This surgery removes two bones of the vertebra or any bone spurs that are responsible for putting excess pressure on the spinal column or nerves. The recovery time is usually between 3 to 4 months, and complete healing could take up to a year. Foraminotomy: This surgery widens the area in your back where the roots of the nerves leave the spinal column. Recovery will take a couple of weeks after this surgery. Fusion of the spine: When the two bones in your back have to be fused together to relieve your pain, you will need 4 to 6 weeks to recover as long as you are healthy and still young. Older patients will need around 4 to 6 months to recover. In order to make your home more conducive to a speedy recovery, there are things you can do. Use a grabber to help you pick up something on the ground. Upgrade your bathroom with safer equipment such as a toilet riser or a shower mat. Keep your foods, beverages, and ice packs close by your bed with a small fridge or a cooler. Remove throw rugs, clutter and anything else that could possibly cause you to trip. Check your wound every day and make sure that your wound is not opening up, feeling warm, or is leaking any fluid. It is normal for it to be a little painful but other symptoms should be checked by your doctor. Don’t get your incision wet for the first week. When you are ready for a shower, make sure you have another person around to assist you. You can put plastic wrap over your incision so it won't get wet. If you are focused on a speedy spinal stenosis surgery recovery, do not lift heavy things within the first couple of weeks after your surgery. Using your waist power to pick up something should also be avoided. Doing such things may disrupt the recovery process or even make the situation worse than before. In order to have a speedy spinal stenosis surgery recovery, a healthy diet is very important. Try to include foods rich in essential vitamins, calcium and minerals. Do not smoke as the nicotine could stop the bone graft and vertebrae from properly fusing together. Make sure that you take the prescribed pain medication. Take your medications regularly and don’t wait until you are in extreme pain. If you are suffering from side effects or you feel your medications are not working, contact your physician immediately. While you are undergoing physical therapy you should take your prescription about 45 minutes before you begin to let the medication have enough time to come into effective. Make sure you stand up and walk around a little before you return to a seated position.